Providing discipline, setting high goals for students and showing them that she cares for them, Emily Lee, a fourth grade teacher at Northeast Elementary School has been named a success in her field. 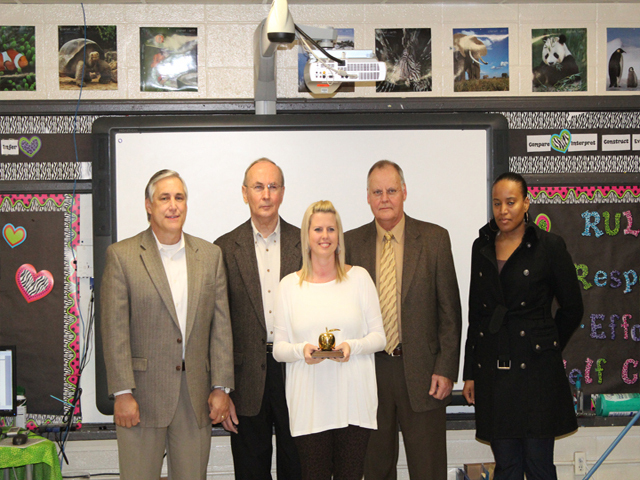 Lee has been named the Golden Apple Award teacher of the month for January. 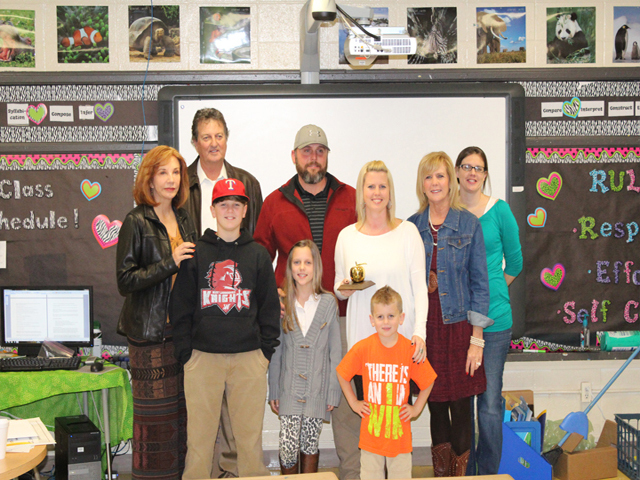 Nominated by a student and the mother of a former student, Lee was surprised with an awards ceremony at her school on Wednesday. 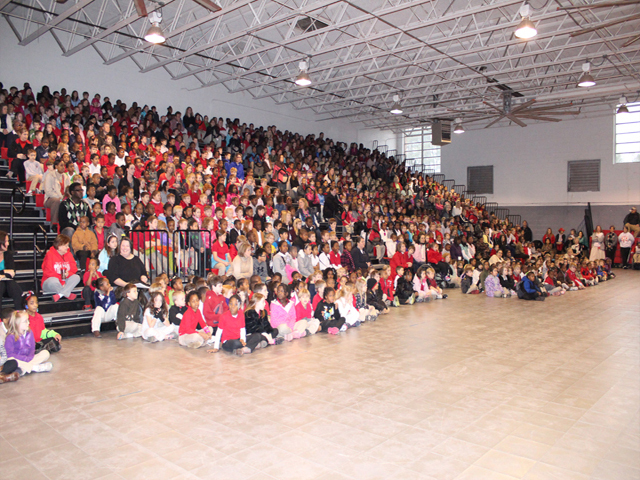 The announcement was made in the school's auditorium in front of staff and students. Randy Hodges, superintendent of Lauderdale County School District, thanked Lee for her service on behalf of the district's 450 teachers, 7,000 students, and 940 employees. Hodges recalled the words he said to teachers at the beginning of the school year. He asked them what would be the greatest gift they could give their students. 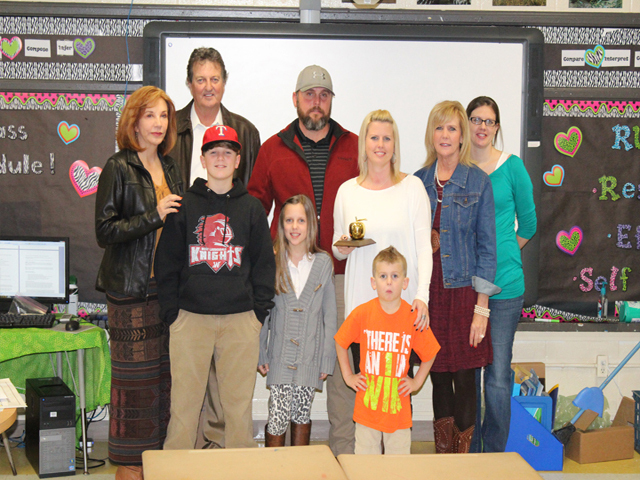 "That gift is an outstanding teacher," Hodges said. "We have an outstanding school district. It is one of the top school districts out of 182 in Mississippi. The number one reason we are successful is because we have outstanding teachers." 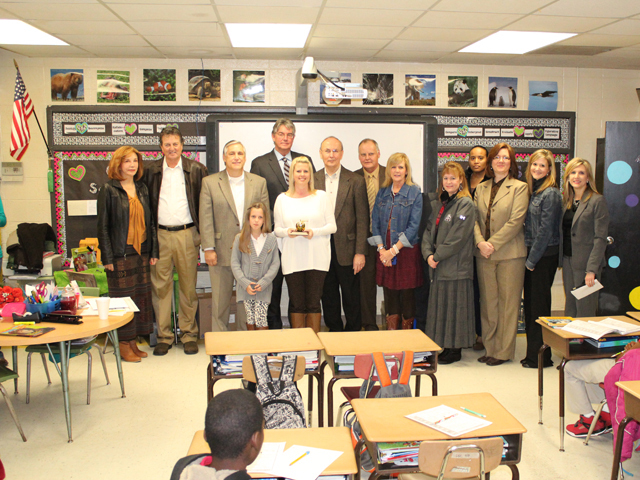 With Lee's award, all three Northeast Lauderdale schools have had a teacher recognized with a Golden Apple Award. 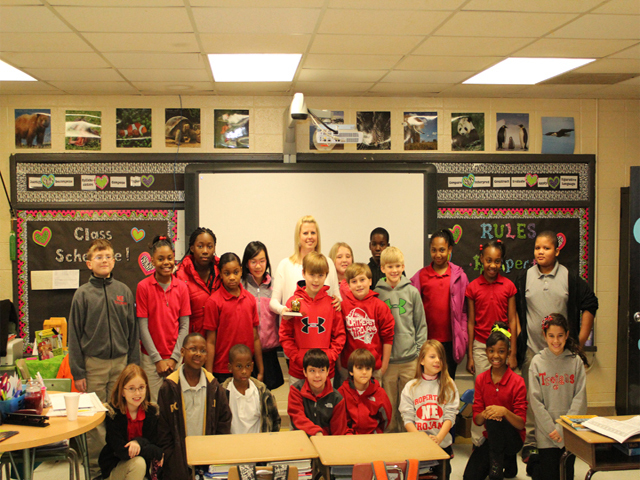 Earlier this school year, Northeast Lauderdale High School and Northeast Lauderdale Middle School had teachers picked for the award. Lee, who has been a teacher for nine and a half years, earned praise from her principal, Tammy Crowe.